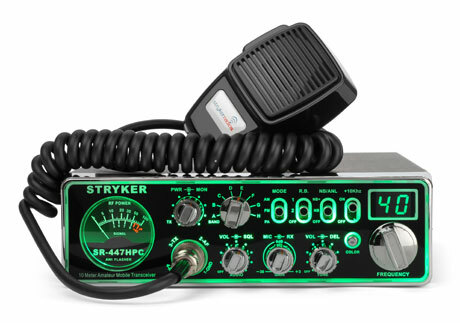 Discontinued Basics: 10 Meter AM/FM amateur radio with Up-Armored receiver protection from RF signal overload. The faceplate is a Brilliant 7-Color LED Backlit Face Plate- Choose from 7 colors with the push of a button or let the CPU controller scan through all of the colors on it’s own. This exclusive face plate design provides operators with back lighted controls, making adjustments even in the darkest conditions easy. This radio incorporates 2 different Roger Beep tones. Includes AWI circuit that warns the end user of an antenna system problem. Controls: Volume, squelch, mic gain, RF gain, echo time and level, variable carrier level (output) control, and talkback volume control. Dimensions: W 8" x D 10.5" T 2.5"
but by Part 97 of 47 C.F.R. Part 97 does not require type acceptance of Amateur radios.